J.C. Penney is sorry and it wants your business back. That's the gist of its latest ad, a public "mea culpa" which the mid-priced department-store put on its YouTube and Facebook pages. The ad, titled "It's no secret," shows shots of women working, playing with their children and doing other everyday activities. "Recently J.C. Penney changed," a voiceover states. "Some changes you liked, and some you didn't. But what matters with mistakes is what we learn. We learned a very simple thing, to listen to you." The ad comes after the Plano, Texas-based company last month fired its CEO, Ron Johnson, after 17 months on the job and rehired his predecessor Mike Ullman. Johnson's ambitious changes included getting rid of most sales and bringing in new, hip brands. The strategy was designed to attract younger, wealthier shoppers in a bid to reinvent the stodgy retailer, but it alienated Penney's loyal customers and caused sales to plummet. The ad acknowledges the missteps and asks customers to return to its stores. "Come back to J.C. Penney. We heard you, now we'd love to see you," the voice-over states. The TV spot is in contrast with the chain's "fair and square" advertising campaign that accompanied Johnson's revamp. Those ads were colorful and whimsical and did not give specifics about products. In one spot, a dog jumped through a hula hoop held by a little girl. The text read: "No more jumping through hoops. No coupon clipping. No door busting. Just great prices from the start." The new spot buys the company some time, but the hard part is next: telling customers what specific changes they're making, said Allen Adamson, managing director of branding firm Landor Associates in New York. "When you are in a freefall, you sometimes need to call a time out and say, 'Wait a second. We're going to get this under control,"' he said. "The answer may be further down the road as to why they come back." 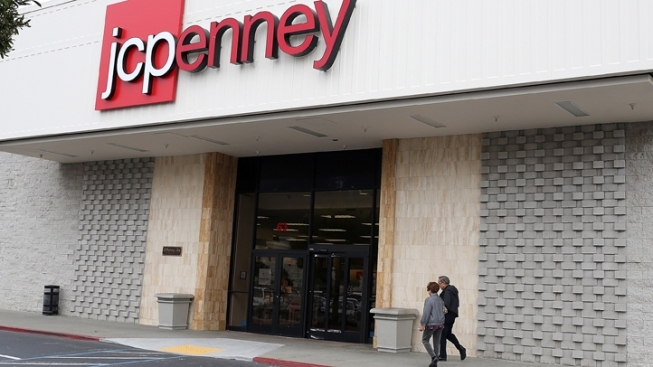 J.C. Penney Media Relations Director Daphne Avila said the idea for the ad began several months ago after an "extensive" review of customer feedback. "We want to give customers our assurance that what they loved about J.C. Penney -- trusted brands, great style and affordable prices -- will be inherent to every shopping experience," she said. Shares fell 23 cents to $16.19 in afternoon trading. They have traded in a 52-week range of $13.55 to $36.27.